One of the most worrying aspects of full-timing in a RV is having a major component like the rangetop, refrigerator, propane system or toilet-black tank go down in a place far from your "home base" where you don't know who you can trust to fix it. Recently the refrigerator in the Tank was no longer cooling efficiently to the point where it no longer was able to make ice in it's tiny freezer compartment. The Tanks "dorm room style' refrigerator. At the time this problem raised it's head I was boondocking on some BLM land just north of the Western Slope city of Grand Junction. The problem wasn't something I could "live with" if only because I'd just shopped for $70 worth of meat and groceries which I didn't want to throw out. 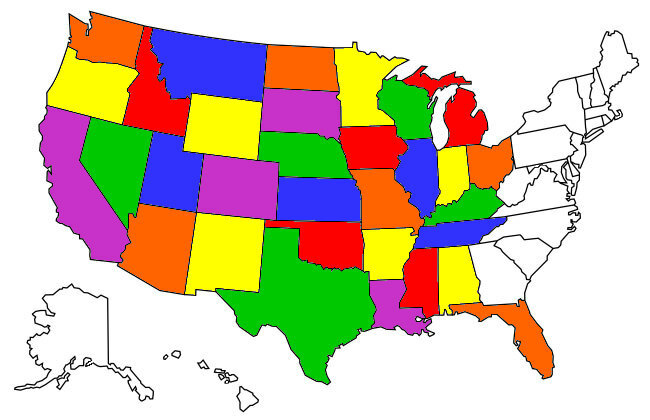 Grand Junction is a pretty good sized city so it figured to have more than one RV dealer which presumably had a service department so I Googled "RV dealers near Grand Junction" and got three entries returned. Unfortunately, times are great in the RV repair industry in Grand Junction because the earliest anyone could squeeze the Tank in was two weeks into the future, I couldn't wait that long. 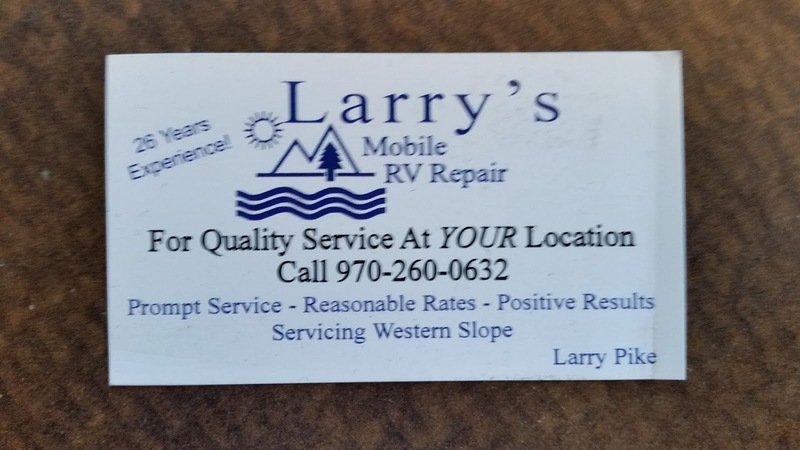 So I Googled "RV repair near Grand Junction" and along with the three dealers I got from my first search was "Larry's Mobile RV Repair", I assumed the "Mobile" part meant that Larry would come to me so, even so I was thinking this was too lucky to be true, I called Larry, who personally answered on the first ring. I explained my refrigerator's symptoms to Larry over the phone and asked him if this was something he might be able to look at and he said yes. We arranged to meet in a city park in one hour! Larry actually showed up early and got right down to diagnosing my problem. 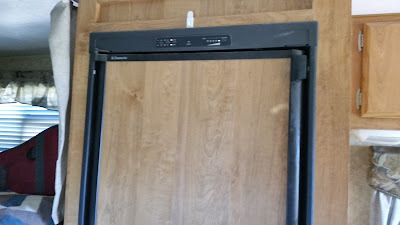 I had a sinking feeling of needing a new $1100 refrigerator but I kept it to myself. Larry checked my propane system's pressure and found that it was testing at a 8 when it should have been 11, about a 25% shortfall. Within a few more minutes Larry suspected my propane system's actuator was partially clogged and he pulled it out of the propane compartment. Larry put a couple paper towels on the ground and shook the actuator over them and what looked to be oil dripped out of the actuator (it's supposed to be dry inside). There are different theories about how oil gets into actuators. Larry's was that over time a small amount of propane reverts back to the oil phase and collects in the actuator. 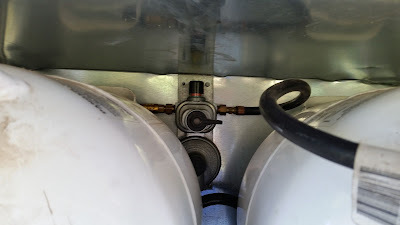 Another view is that the propane leaches oil out of the rubber propane hose you see in the above picture and that oil deposits in the actuator. Either way, the propane then has to bubble up through the oil to get to the refrigerator, making it run inefficiently. YAY! No $1100 refrigerator purchase! 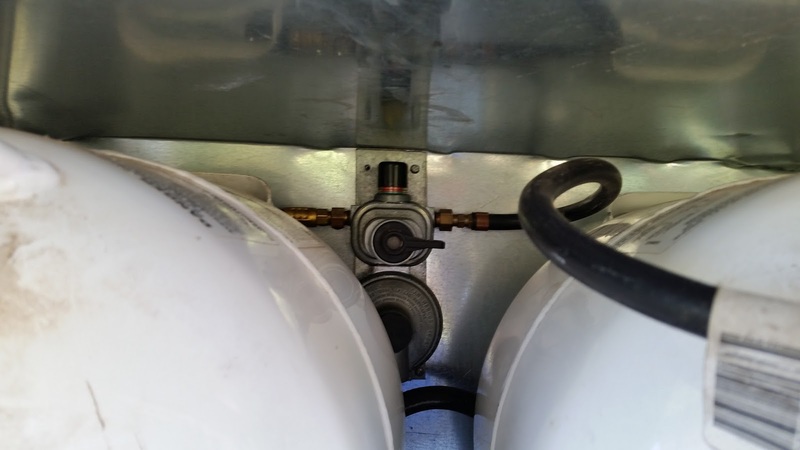 Most RV owners know this already but NEVER try to work on a propane system by yourself. Larry had 26 years of experience and he used soapy water on all the joints and connections in the Tank's propane system to see if there was any gas leaks after he replaced the actuator (he actually did the soapy water twice). Having expert attention being directed towards your propane system repairs can prevent a seriously bad day occurring. 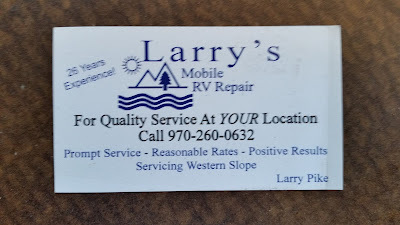 If you are on the Western Slope and need someone to work on your RV call Larry. You won't regret it!